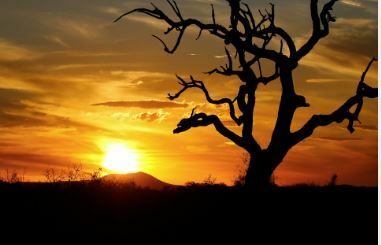 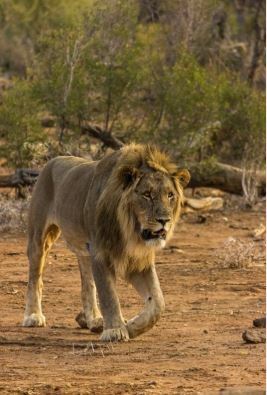 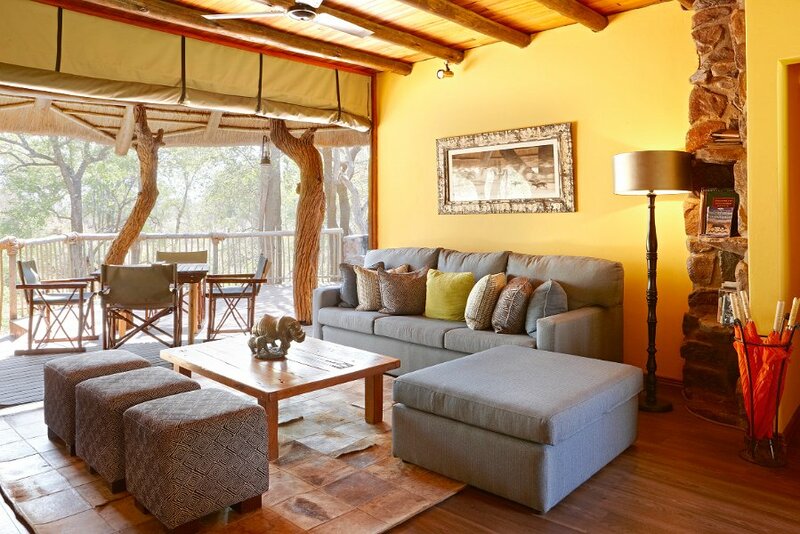 Masterfully blends into its surroundings, encompassing a magnificent main area built around an ancient termite mound. 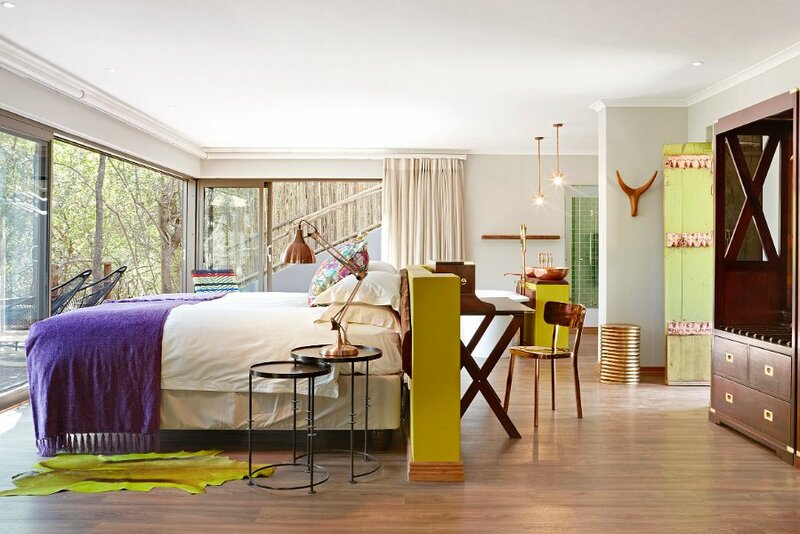 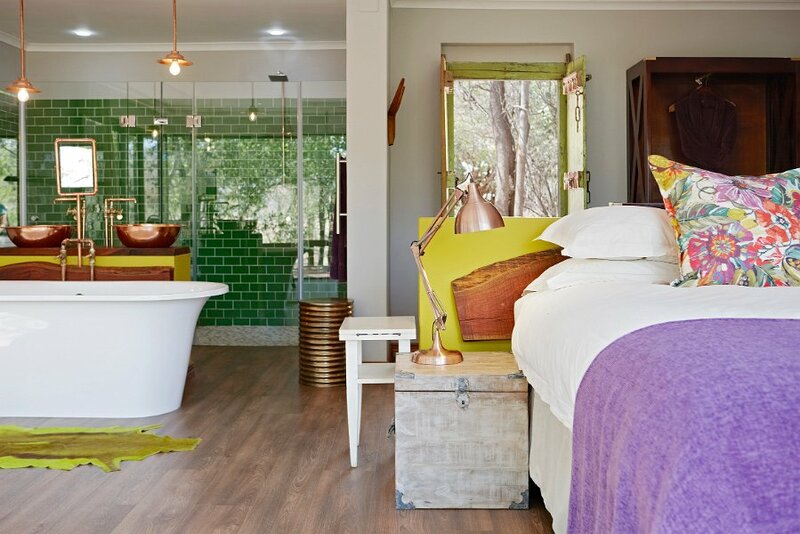 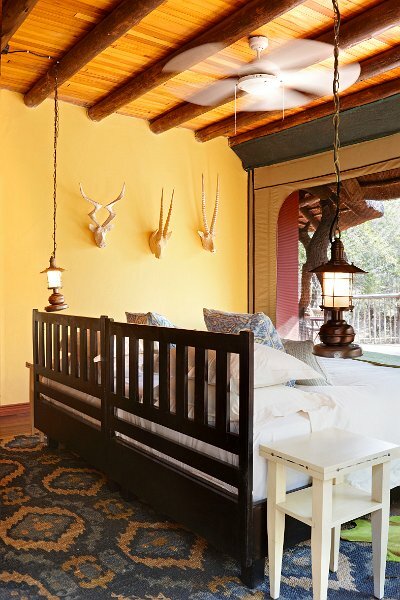 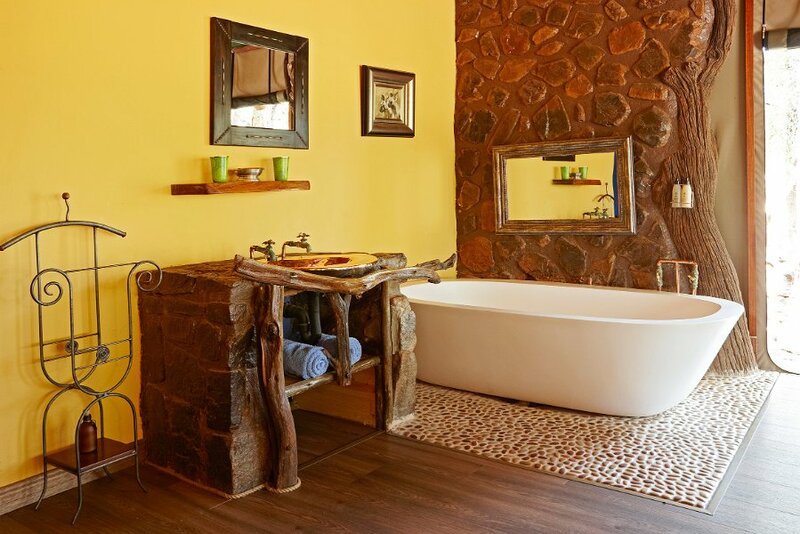 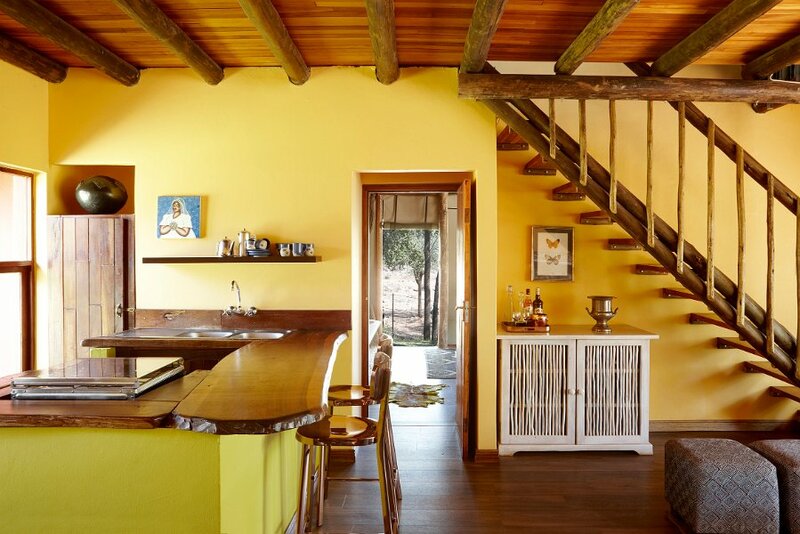 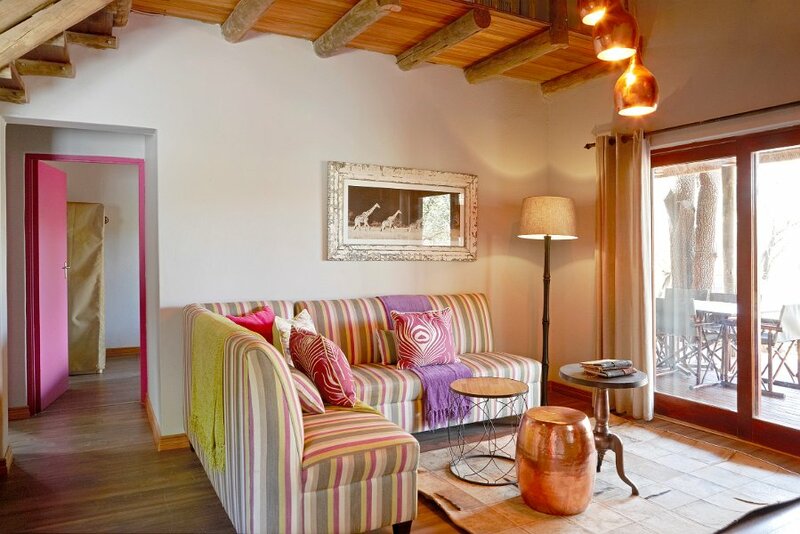 The location was discovered and the concept envisaged by Jan in combination with Jaci's colorful decorating style and attention to detail you are sure of a memorable and unique Safari experience. 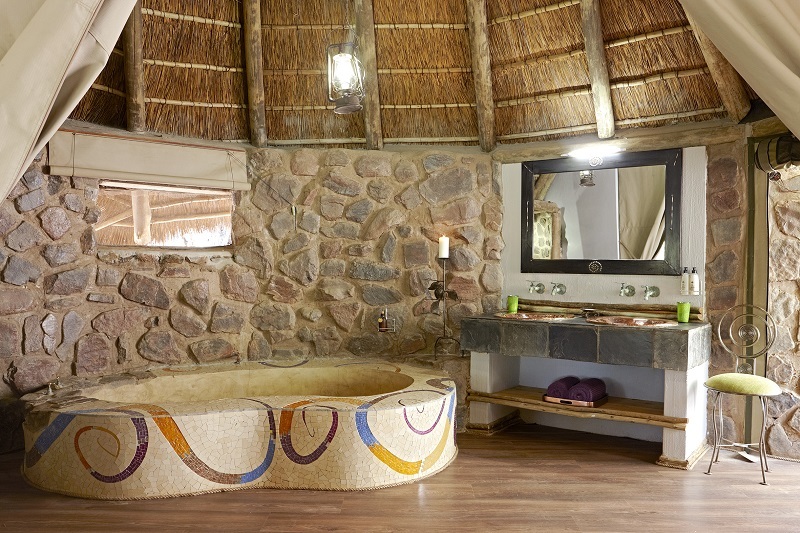 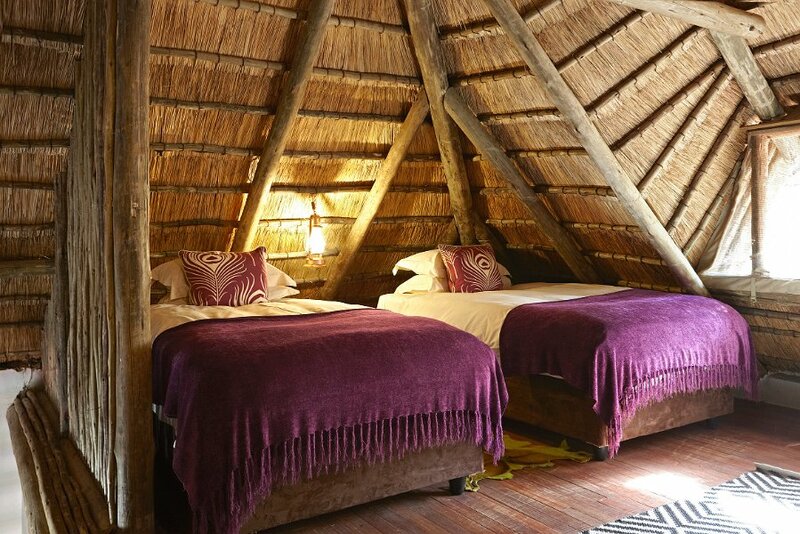 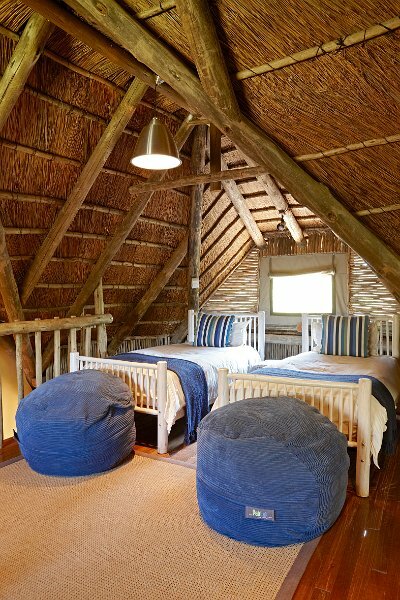 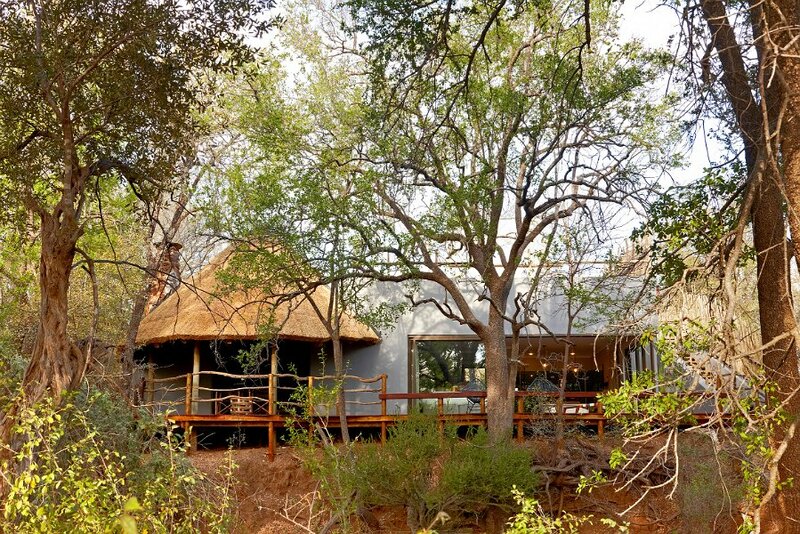 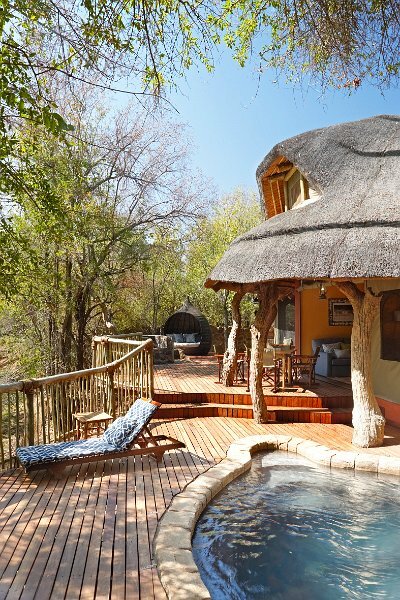 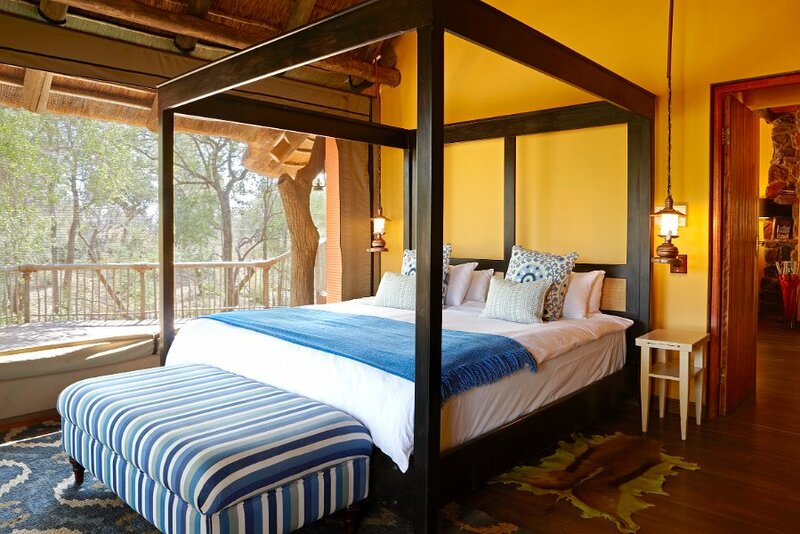 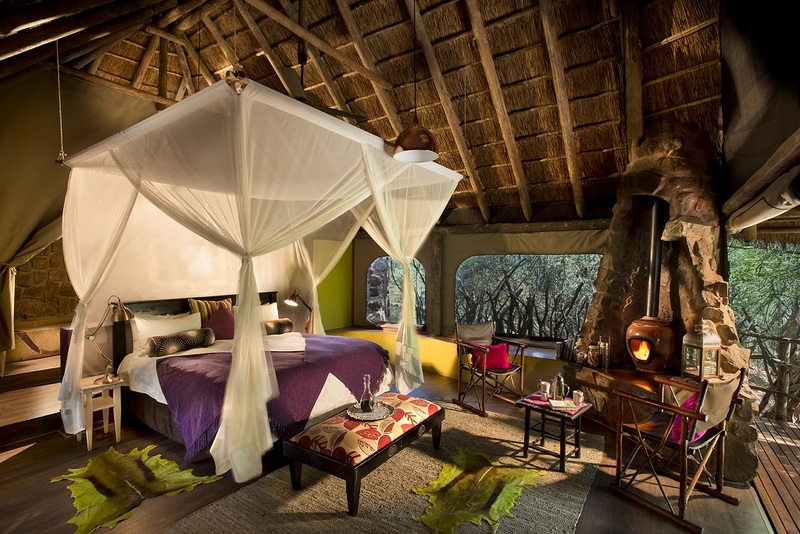 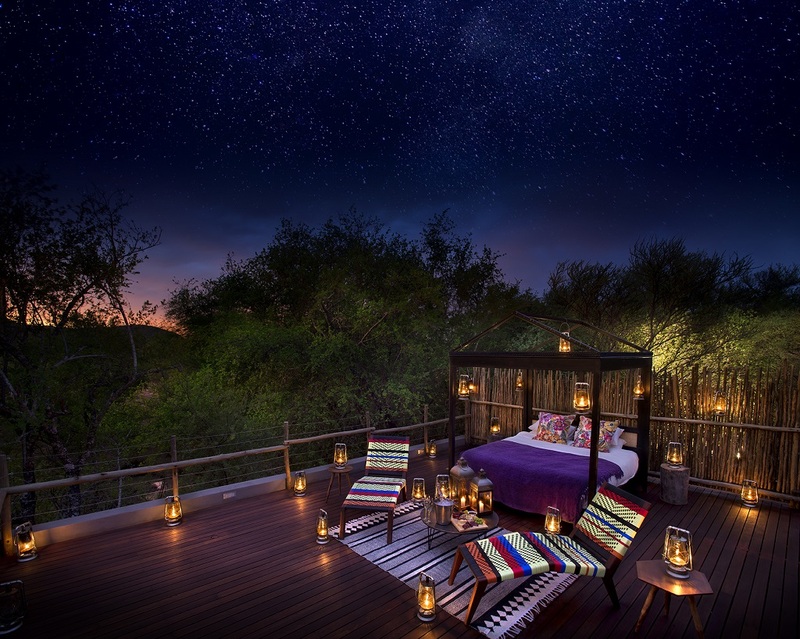 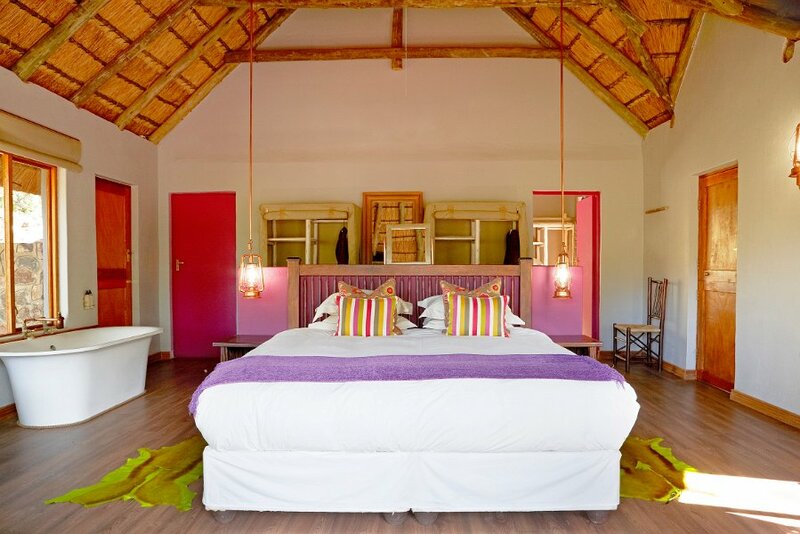 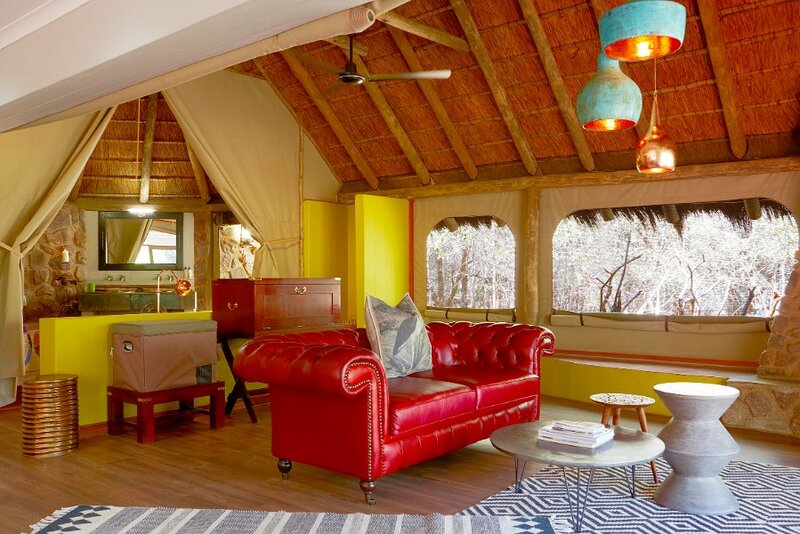 Featuring only eight large rooms and the exclusive 2 bed-roomed "Nare Suite" - all built with shaggy thatched roofs, canvas walls and large tented windows - to create a true safari atmosphere, inviting you to enjoy your bush surroundings. 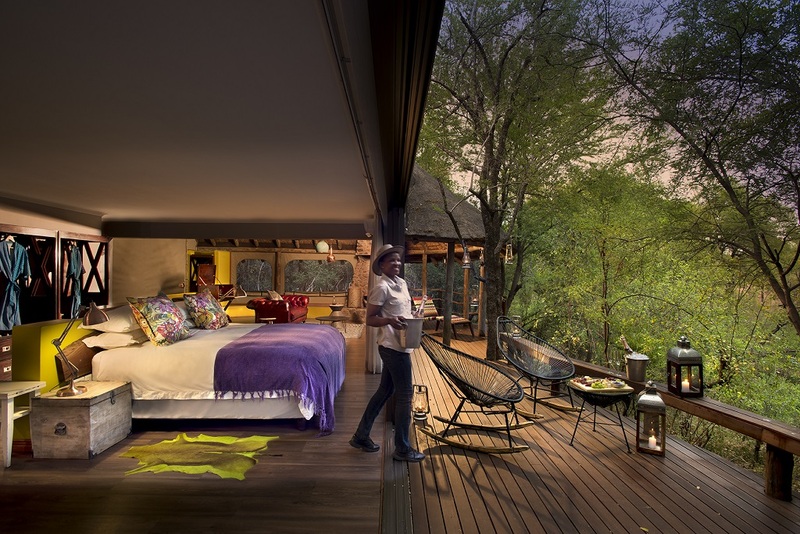 Early risers may catch a glimpse of Bush Babies returning to roost in the trees around the rooms or enjoy the morning Francolin calls. 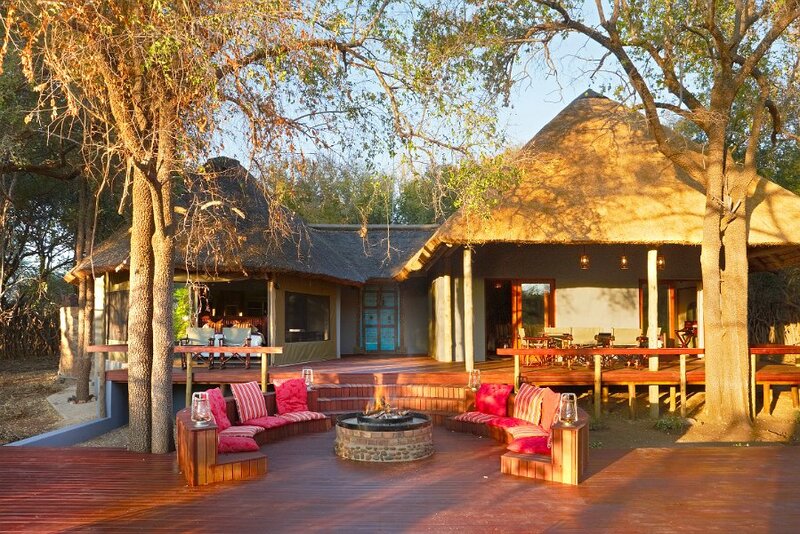 Jacis Safari Lodge, Main Lodge consists of a spacious lounge and open plan dining area with uninterrupted views of the bush. 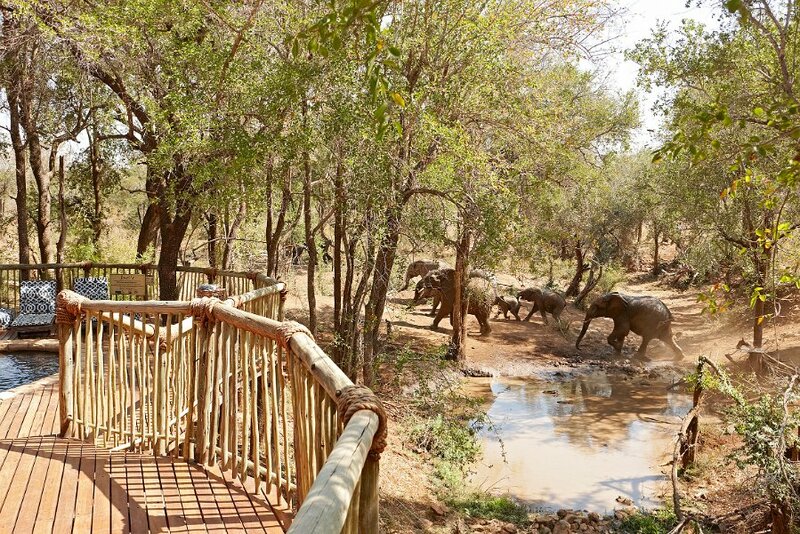 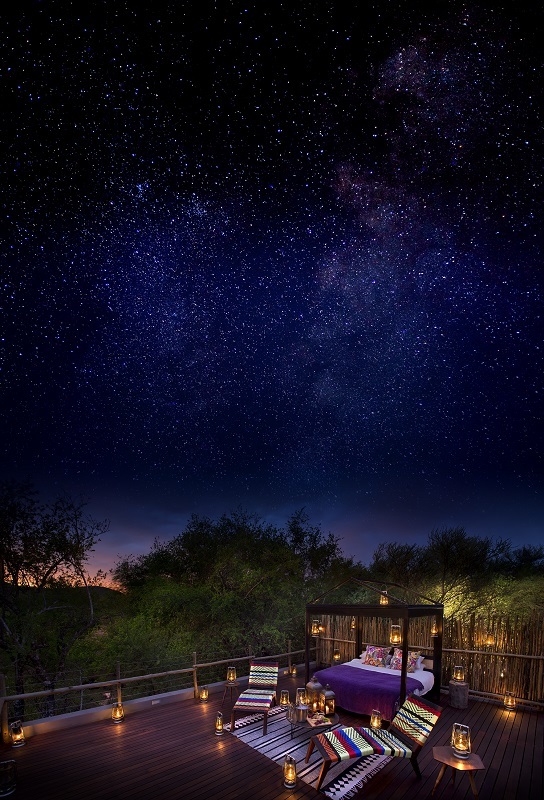 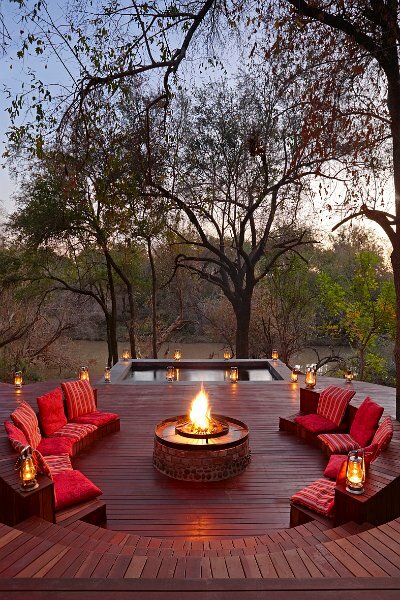 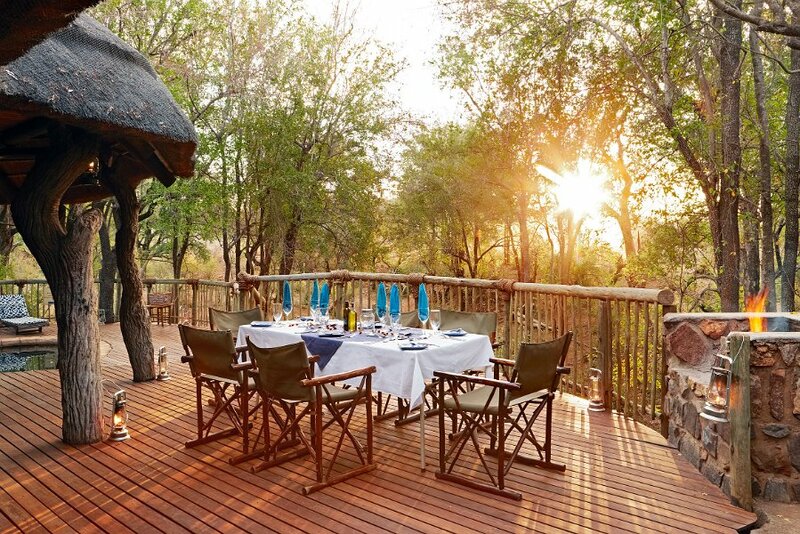 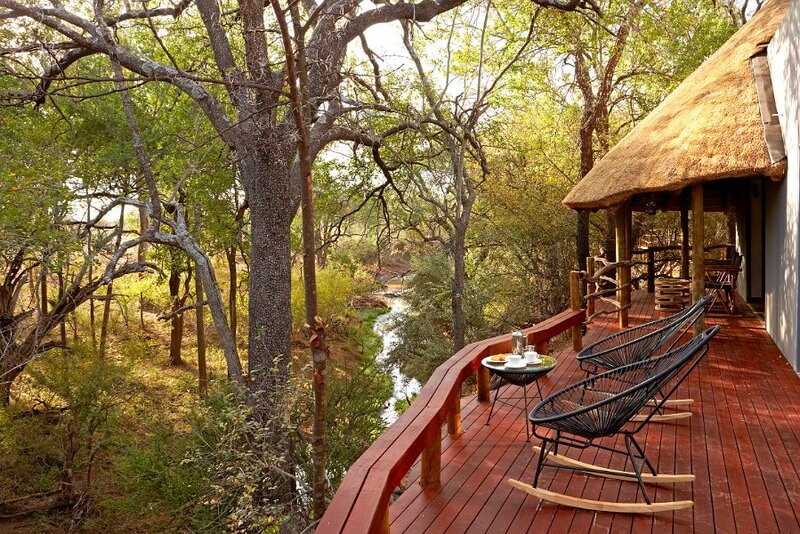 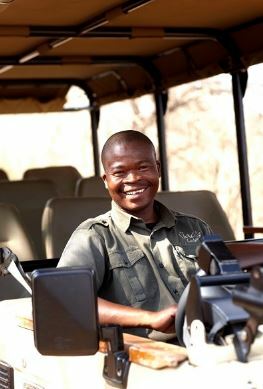 Enjoy fire cooked meals in our enclosed boma, or under the stars at a bush braai (BBQ). 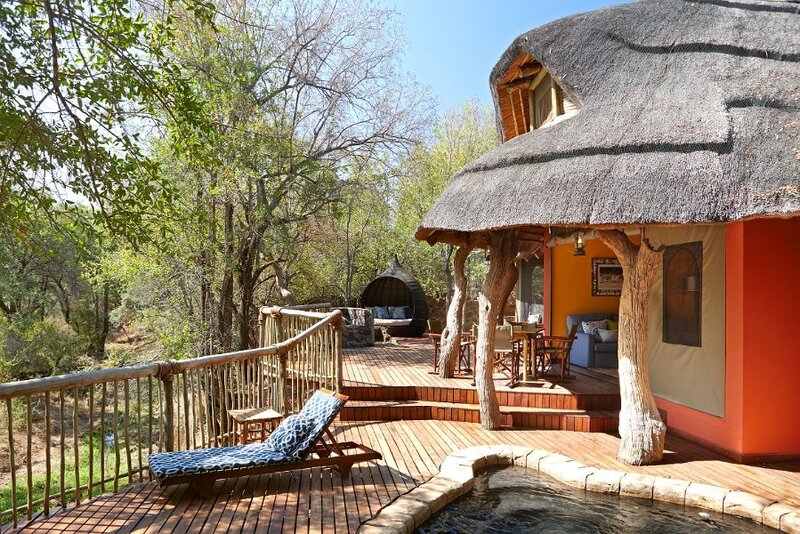 Lounge at the pool or enjoy bird watching from the hammock on the bank of the Groot Marico River Indulge yourself in your surroundings. 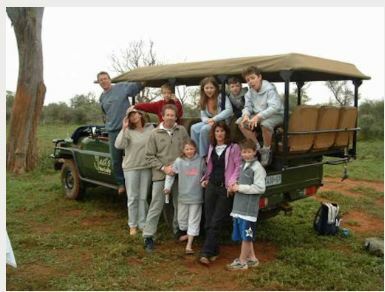 It is the traveller's responsibility to ensure that they have adequate travel insurance for unforeseen cancellations, medical emergencies, etc. 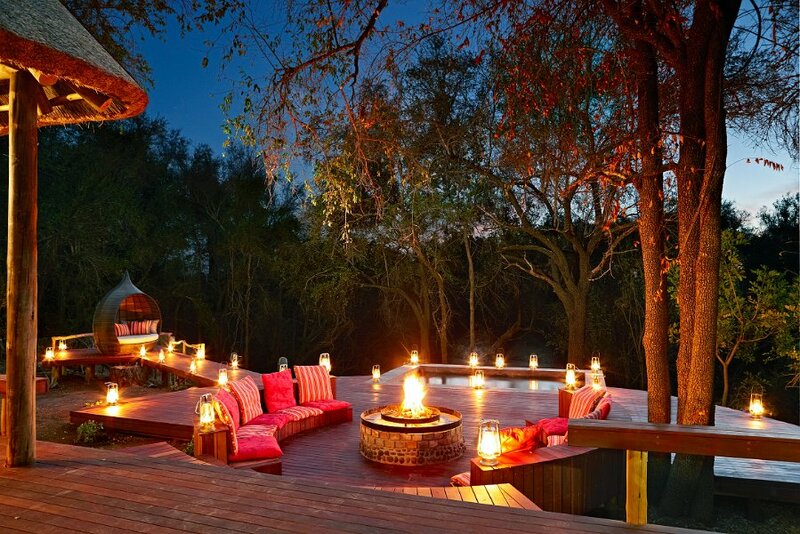 Only written cancellations will be accepted.